After many years of hype and speculations, interest in cloud computing is at an all-time high, as economies throughout the world begin to reap the long-promised benefits of computation as a service. This is especially relevant for emerging economies, wherein universities, entrepreneurs, scientists and governments often struggle to fund the necessary infrastructure to launch ambitious projects to meet the increasingly changing needs of large populations. Because of this, we’ve seen a paradigm shift in the way capabilities are built and updated. Instead of using hardware, which can be costly to install and maintain, companies of all sizes and across sectors choose to use “pay per usage” schemes implemented by companies such as Amazon Web Services and Akamai. In order to show that cloud infrastructures can help emerging economies grow at a significantly quicker rate compared to developed economies, I scoured the internet to find the best empirical and theoretical research, compiling them to show the benefits of cloud computing for emerging economies, its drawbacks, and the major sectors impacted by this technological revolution. But first, let’s make sure we’re on the same page with some key definitions. The cloud is a very broad concept, as it covers just about every possible sort of online services. There are however three key concepts that are important to grasp and differentiate: Software as a Service (SaaS) is a model whereby software are hosted by a provider and available to customers on a subscription basis, Platform as a Service (PaaS) removes the need for organizations to manage underlying infrastructures and Infrastructure as a Service (IaaS) contains the basic building blocks for cloud IT and typically provide access to networking features, computers (virtual or on dedicated hardware), and data storage space. Cloud technology is often easier to install, maintain and update than traditional hardware, and as such is easily accessible to less technologically savvy customers. This relative low barrier of entry is central to the benefits cloud-computing can bring to emerging economies, as it will allow them to imitate developed nation’s infrastructures at a fraction of the cost. It also allows for the adaptation of systems to a mobile model, which has a much wider penetration in emerging markets than laptops. Indeed, mobile is often seen as the key to technology proliferation. What is simple is often scalable: as explained in this handy AWS video, companies need not buy more than they need, and can simply use building blocks in order to build their capabilities and increase their demand over time if necessary. A scalable solution also means low upfront investments, which is ideal for under-developed institutions. As mentioned above, this is especially useful for nations with large populations, which are increasingly joining the digital world through mobile. Simplicity and scalability help lower costs, which explains the high penetration rate of cloud technology in various sectors throughout emerging markets, while smaller companies in the west show little intention to implement new solutions due to the risks inherent to discarding legacy solutions. This also has the benefit of levelling the playing field with regards to capabilities, feeding the developing world’s exponential growth in many industries. Finally, lower costs also mean minimised risks for the government developing infrastructures as upfront spending is minimal and based on demand. Leaving the digital security to the professional may seem like sound advice, yet this aspect of cloud computing is more nuanced. In 2011, GfK conducted interviews with IT decision makers in Brazil, China, Germany, India, United Kingdom and the USA: it was gathered that managers in western companies often worried about risks, regardless of price. On the other hand, security was one of the benefits perceived by managers in developing nations. This gap exemplifies the IT gap between nations, and how cloud computing can drastically reduce it. All of the above explains why the EIU’s study found that “the pace of cloud adoption certainly varied by industry, but perhaps surprisingly, the pace of cloud adoption overall was considerably higher in developing economies”. Anecdotal evidence gathered throughout the developing world shows that implementing and scaling the technology depending on the needs of each company can have a tremendous impact. Research in South Africa shows that a call centre saw a 20% gain in productivity after encouraging cloud-based telecommunicating. In India, another company claims that its cloud services can cut its client’s costs by as much as 30%. 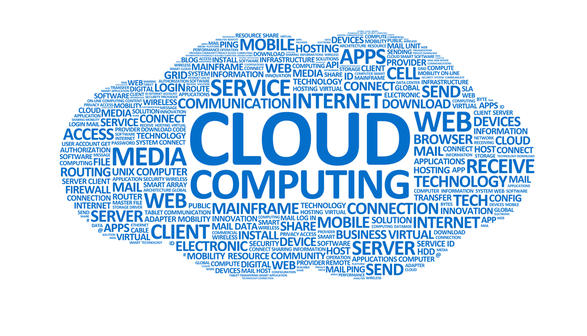 Overall, cloud computing means that volume output is enhanced with fewer people. To pick an example out of many available, as many as 60% of Kenyan banks have insecure systems. As Grossman notes, cloud technology can allow third-party developers to provide scalable security measures accessible by all, hence solving some of the challenges often encountered when developing digital solutions. 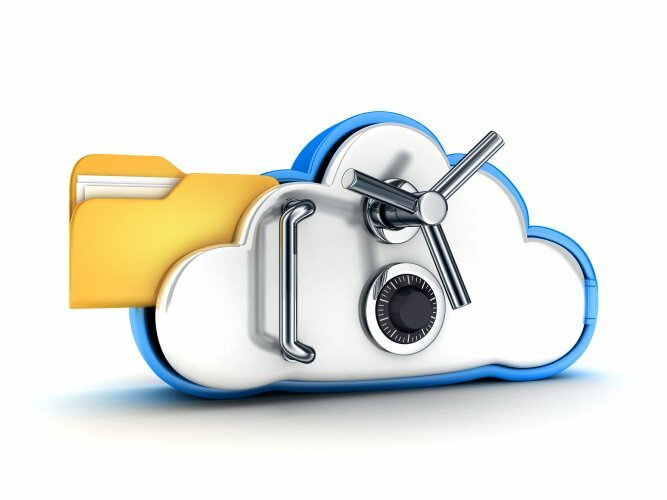 However, as previously mentioned, cloud security is only trusted up to a specific point. Afterwards, companies having developed a specific expertise are likely to prefer using their own cyber-security. Unburdened by legacy systems, emerging nations are free to innovate and create new process and business models, some potentially better adapted to the digital economy than those of developed economies. We explore some of these new processes below. Thanks to the services provided by major actors in the cloud computing sector, companies in the developing world have access to a globalised workforce and can improve accessibility for those residing in remote locations – hence people have access to the cloud on a global level without time restrictions. This allows for more productivity, but also a dissemination of knowledge which raises the abilities of entire communities, allowing for accelerated development. All of the above means enhanced access to infrastructure for small and middle-sized companies, and has had an impact on various industries. Though cloud computing is still in an early phase in developing countries, many projects have already been launched. One striking example is that of Gamegoo, a leading developer of online games in Asia, who wanted to capitalise on the growing market for mobile games in China, but its on-premises servers couldn’t support players effectively. After migrating to AWS, Gamegoo is able to provide near 100% availability for mobile games and have the compute capacity to support 50,000 new players a day. Though a plethora of projects has been launched in this sector (which can be viewed here and here), one of the most developed ones is Blackboard, which uses the AWS Cloud to transform digital learning worldwide. Students are using Blackboard tools to create their own blogs and collaborate on group projects, or teachers are using them to lead interactive discussions and guide students through online courses. As of 2017, Blackboard has more than 100 million users and 16,000 clients in 90 countries As highlighted by The Economist, it is interesting to note that the cloud plays a significant role in advancing higher education in developed economies, while its greatest impact is seen in public education—especially for very young children—in developing economies. In its paper “The cloud over Africa”, Research ICT Africa points to how the government of Ghana has taken the initiative to promote cloud computing as part of its e-government strategy. This will involve the extension of the national backbone to all in order to connect all public institutions to single shared communication and computing infrastructure and facilitate the effective delivery of government services to all citizens. Though it is important not to misinterpret correlation for causation, Ghana is often considered a beacon of stability in West Africa, partly thanks to its strong institutions. The cloud healthcare market will near $10b by 2021, thanks in part to the high volume of data that we are now able to gather. As such, the market is particularly ripe in emerging countries where disruption began years ago. Mobile, e-learning, cloud-based technologies and social networking facilitate the training of medical professionals and improve the communication between professionals. This may speed up administration and improve services for patients. To cite an example, Medic Mobile is a non-profit organization which aims to build mobile and web tools to help healthcare workers deliver better quality healthcare for their patients living in highly rural and remote locations, using cheap cell phones that are widely available even in the poorest countries of the developing world. The financial market is ripe for disruption in certain parts of the world where few infrastructures have been built and where mobile penetration near 100% for certain parts of the population. Zoona is an example of such a disruption: it provides African entrepreneurs with the technology and resources to offer financial services—primarily electronic money transfers—to people in their local communities. To date, Zoona customers have transacted more than $1 billion dollars through these local entrepreneurs—known as Zoona Agents—who have earned combined commissions of more than $10 million. Zoona supports about 1,500 Zoona Agents, who have in turn created more than 2,500 jobs related to their financial services activities. Using, AWS’s cloud, the company was able to grow, all the while reducing its costs by 50%. Though great strides have been made in the past 10 years, there is still an immense amount of work to be done until developing nations catch up to the West. I have identified 4 major barriers that need to be overcome in order to fully implement cloud technology across the world. This is by far the most important. Though cloud computing infrastructure is usually not installed locally in developing countries, poor broadband connectivity in remote locations and unequal access to electricity can hinder technological development. This also affects reliability, an important factor for most businesses: though the predictability of cloud computing is a great asset when making a technology transition, one must remember that large parts of the world are not connected to fast broadband or a main electrical grid. Nevertheless, without legacy systems and older systems, emerging economies are far more flexible, and as such can catch up faster, without paying a prohibitive price for their development. Most African and Asian countries lack a large pool of resources with the skill set to design, manage and implement advanced high-technology cloud-computing solutions, particularly in the area of virtualisation, data centre design, security and advanced distributed networking. As such, governments are challenged to build a pool of highly skilled personnel, in order to have local expertise to manage new high-technologies. This goes through not only education but also stopping the brain-drain plaguing many southern nations. Though developing nation rarely invested in legacy networks as heavily as a developed nation, switching from one system to another can be a major concern for risk-averse sectors, such as financial services, that perceive the cost of loss of management and ownership of data to be too great a risk. This cost can be mitigated if the migration is gradual and the benefits of moving to the cloud can be proven. Other challenges involve the risk of vendor lock-in and the costs involved in changing from one cloud provider to another. the EIU study presented below further confirms anecdotal evidence: concerns around data protection, security and privacy remain a major hurdle to the adoption of cloud systems in place. Companies have to trust cloud providers, to let them store and process their data. When it comes to brand confidence, decision-makers in the emerging markets are generally far more trusting of global solution providers than decision makers in the other countries. This is another indication that cloud solutions are taking off in the emerging markets, while businesses in Europe and the US are a little more hesitant. Suppliers that manage to communicate the security of their approach and provide transparency and control to their clients will surely be the winners in this competition. The future of cloud-related entrepreneurship in emerging markets will heavily depend on the institutions and the backing they provide. Institutional legitimacy is one of the most important aspects of any new technology, as the government (amongst others) provides normative, cognitive and regulative structures. Beyond gaining acceptance among the political class, cloud technology also heavily depends of the development and structure of related industries, which is why it is particularly important that companies like Amazon Web Services continue to invest in infrastructure key to the technology’s spread: the AWS Cloud spans 52 Availability Zones within 18 geographic Regions around the world, and is quickly spreading. For more information on what cloud technology can bring to developing nations, I recommend checking out the many case studies on their website.